In his controversial New Republic article, Deresiewicz tells parents that Ivy League schools are overrated — that they’d be better off sending their kids elsewhere. 1. The intense competition to get into an elite school can hobble a child for life. 2. Constant focus on elite, Ivy League education can result in soul-crushing levels of insecurity, anxiety, and fear for students. Is this kind of educational experience worth going $100,000 into debt for? I wonder. 3. The path to and through elite education can result in kids who are terrified of risk. 4. If you really want to help kids learn how to think — the main boast of elite schools — you may be better off sending your child to a small regional religious school that nobody’s ever heard of. 5. The classes at elite schools aren’t necessarily extra rigorous — and there’s reason for that. 6. Students at elite schools are constantly told they “can be anything they want,” but a significant percentage of them choose to become one of just a very few very similar things. 7. What gets you into an an elite institution these days? Is it brains or work ethic or high levels of gifted creativity? Nope. It’s increasingly one main thing: Daddy’s money, poured out on you over a lifetime. “The numbers are undeniable,” Deresiewicz writes. In 1985, 46 percent of incoming freshmen at the 250 most selective colleges came from the top quarter of the income distribution. By 2000, it was 55 percent. As of 2006, only about 15 percent of students at the most competitive schools came from the bottom half. The more prestigious the school, the more unequal its student body is apt to be. And public institutions are not much better than private ones. As of 2004, 40 percent of first-year students at the most selective state campuses came from families with incomes of more than $100,000, up from 32 percent just five years earlier. “The major reason for the trend is clear. Not increasing tuition, though that is a factor, but the ever-growing cost of manufacturing children who are fit to compete in the college admissions game. The more hurdles there are, the more expensive it is to catapult your kid across them. Wealthy families start buying their children’s way into elite colleges almost from the moment they are born: music lessons, sports equipment, foreign travel (“enrichment” programs, to use the all-too-perfect term)—most important, of course, private-school tuition or the costs of living in a place with top-tier public schools. The SAT is supposed to measure aptitude, but what it actually measures is parental income, which it tracks quite closely. Today, fewer than half of high-scoring students from low-income families even enroll at four-year schools. “The problem isn’t that there aren’t more qualified lower-income kids from which to choose. Elite private colleges will never allow their students’ economic profile to mirror that of society as a whole. They can’t afford to—they need a critical mass of full payers and they need to tend to their donor base—and it’s not even clear that they’d want to. 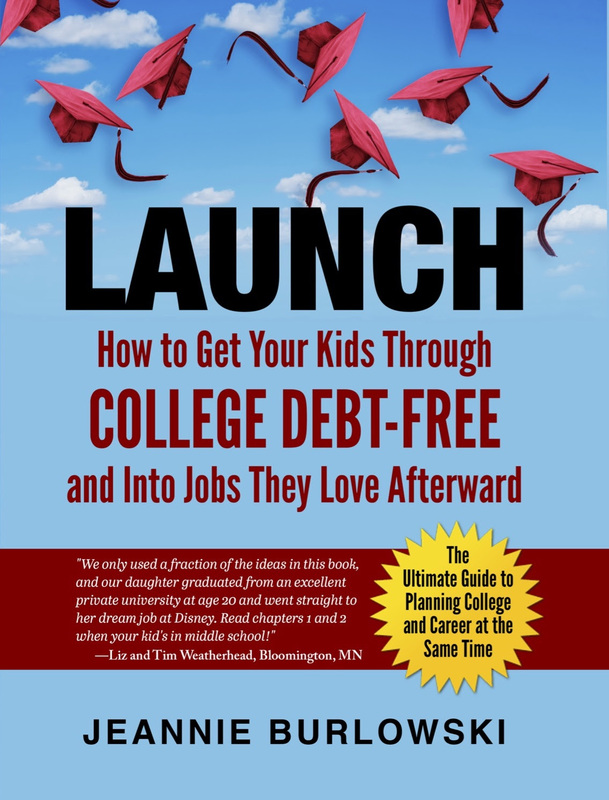 In my work as a blogger and author, I help parents at all income levels strategize early on so they’re able to send their kids to college without debt. (Strategizing early on is especially important for families who don’t plan to save for college.) Dishearteningly, Harvard has quietly instituted policy that makes debt-free college harder to achieve for Harvard students and their families. High achieving, strategic high school students who’ve worked hard to slash future college costs by earning college credit in high school would be well-advised to apply to schools that reward that. There are thousands and thousands of excellent private and public colleges nationwide that are happy to grant credit for college level work done in high school. I provide extensive detail about this here. 8. Deresiewicz suggests that parents encourage their kids to stay away from the colleges that attract all the smartest high school kids. 9. Deresiewicz strongly suggests that high school kids should do less and be more. To see my article citing Gallup research that indicates that expensive education does not lead to a happier life, click here. So—does #elite #IvyLeague #education ACTUALLY lead to high levels of #wealth and personal #happiness? What about you? 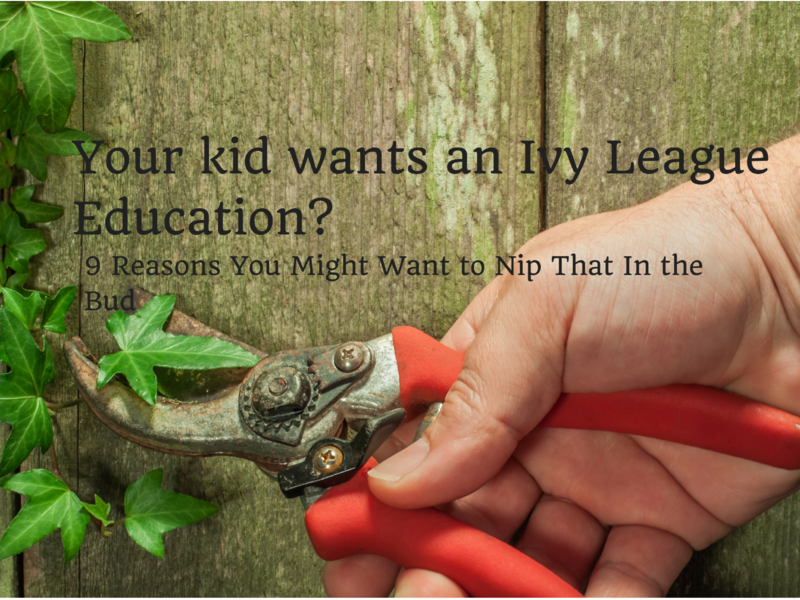 What are your thoughts about Ivy League education? Some students attend Ivy League schools and have a great, enriching experience! Did yours? Comment below or LIKE Jeannie Burlowski Author on Facebook, find this post on that page, and let’s talk about it there. Former Yale professor and author William Deresiewicz is an award-winning essayist and critic. His essay “The Disadvantages of an Elite Education” has been viewed over one million times online. “Solitude and Leadership,” an address he gave at West Point, has been taught across the military and corporate worlds. His work has appeared in the New York Times, The Atlantic, The New Republic, and elsewhere. You can follow him on Twitter @WDeresiewicz.